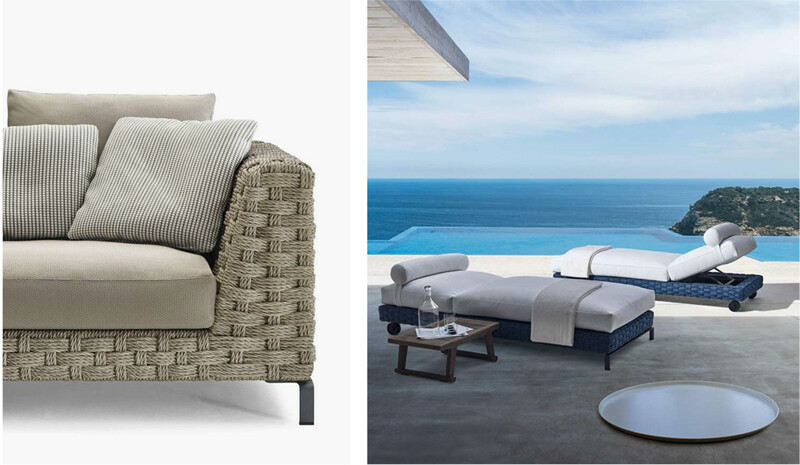 After the success of the indoor series, the Ray seating system by Antonio Citterio, B&B Italia has introduced an outdoor collection featuring two new versions in ‘Natural’ and ‘Fabric’. While sharing the common element of a light extruded aluminum frame, they are distinguished by their interlacing details and materials. 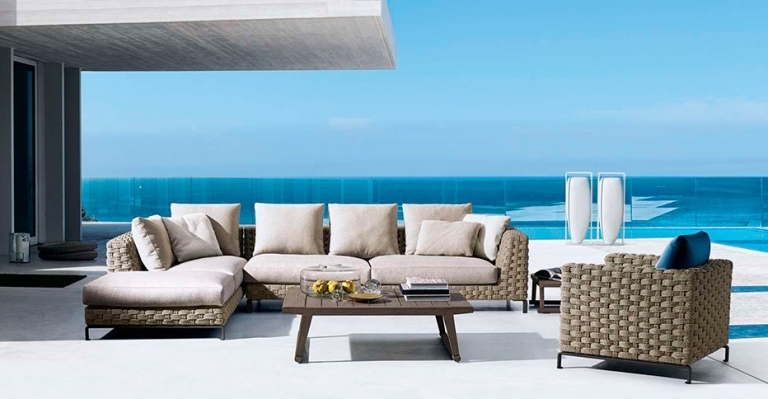 Ray Outdoor ‘Natural’ features a rope weave made with the material textilene, inspired by natural Abaca to perfectly blend with nature. 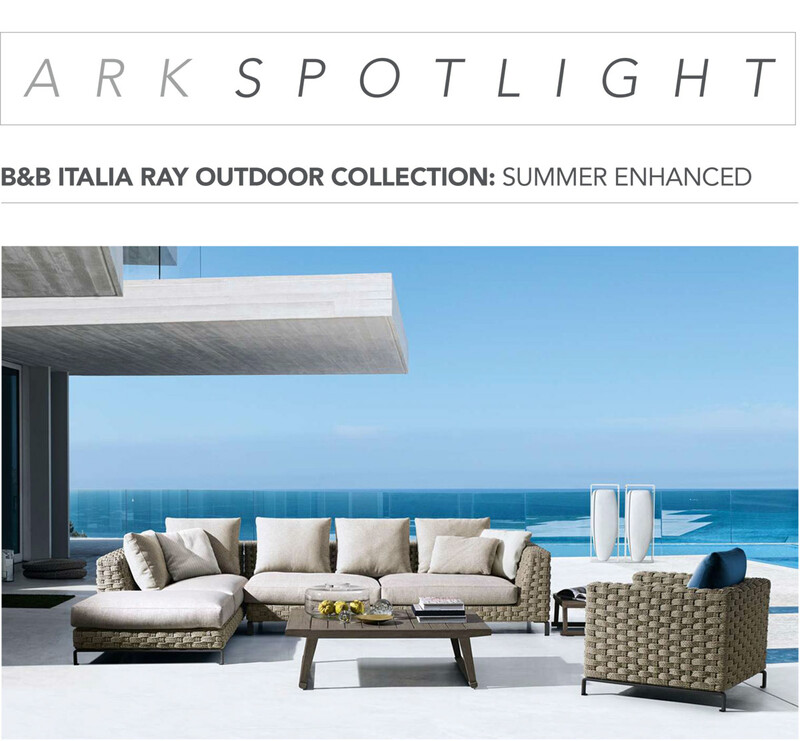 Ray Outdoor ‘Fabric’ has a ribbon weave made of polypropylene fiber which is resistant to both UV rays and outdoor elements, available in colors: turquoise, blue, acid green, dove gray, and bright bordeaux. 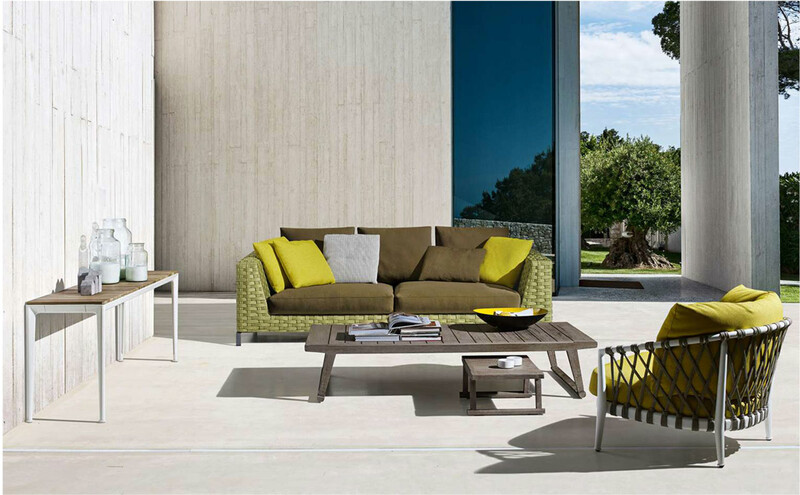 Both groups include sofas in two depths and modular elements, chaise lounge and armchairs. 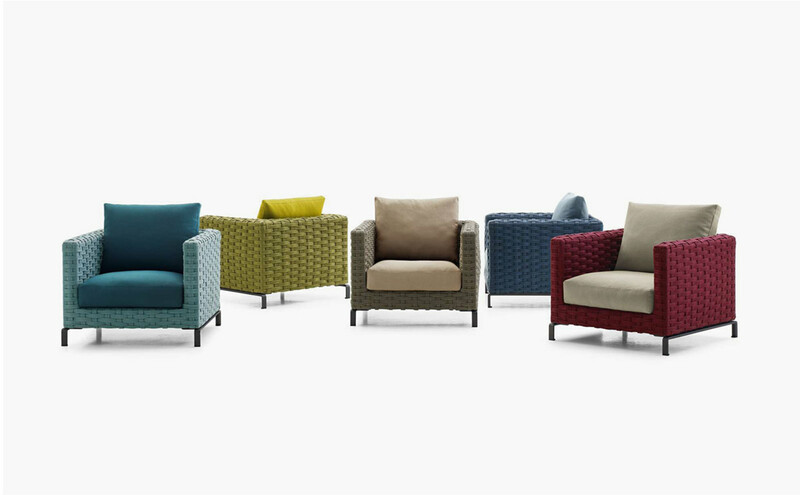 The chaise with wheels is available only in the ‘Fabric’ version.